Couples can choose to get married on a pristine beach while their guests enjoy spectacular scenery and mojitos. For a truly grand experience, tie the knot in one of the gorgeous colonial cathedrals. Cuba also has a number of resorts that offer couples all the services they need for a memorable celebration. Cuba is a treat for all the senses with its diverse natural landscapes. If you're planning to stay back for your honeymoon, there are green mountain valleys, coral reefs, colonial cities and mangrove swamps with flamingos to make it an unforgettable experience. To experience the rich legacy of Cuba, walk through Old Havana's cobblestoned streets or through the charming town of Trinidad. Vieja and Malecon are the top attractions in Havana. Explore local artwork and enjoy jazz in the many music venues throughout the city. Modern Cuba is exciting and elegant. For beautiful French colonial architecture, the port city of Cienfuegos is one of the best places to visit in Cuba. Cuba's cigar industry is located in Pinar del Rio while Santa Clara is the home of Che Guevera's renowned revolution battle. His remains are now located in a mausoleum on the outskirts of the town. The first capital of Cuba, Baracoa, is a beautiful beach-side community with a tranquil feel. Cuba's geography and ecology are quite unique. Western Cuba is home to diverse ecosystems including the wetlands of Peninsula de Zapata, tobacco plantations in Vuelto Abajo and rolling limestone hills in Valle de Vinales. Central Cuba is home to colorful coral reefs, white sandy beaches, lush mountains and mangrove swamps. Eastern Cuba's highlight is the Sierra Maestra but it is also home to colonial cities like Santiago. Cuba has a pleasant tropical climate which makes it a warm, sunny destination to visit. The dry season is the best time to visit the country, lasting from November to April. The average high temperature during this season is 27 degrees Celsius. Evenings tend to be cooler. Rains are quite infrequent during this time of the year and there is plenty of glorious sunshine to enjoy. May to October is the wet season in Cuba, during which it receives 75% of its rain. Because of its tropical location, rain falls are heavy and fast. Torrential downpours, storms and high winds can be expected. This is also the hurricane season in Cuba. August- September are the peak of the wet season. The other months receive relatively less rainfall. The average high temperature during this season is 30 degrees Celsius and there is sunshine and clear weather between storms. Nights are usually cooler. However, humidity levels during this period can be quite high. The climate varies in each region of Cuba. The southern part of the country is more prone to hurricanes and tropical storms. Western Cuba often experiences temperatures below 10 degrees Celsius during winter and spring. Southeast Cuba receives the least rain fall in the country. For cooler climate, visit the mountains with higher altitudes like the Sierra Maestra. Although many Cubans speak English, as well as some other European languages, it is recommended that you learn a few simple Spanish phrases such as "por favor" (please) and "gracias" (thank you) to get along better with the locals. Because of the climate in Cuba, dress is usually informal. However, locals can be quite conventional in appearance. It is therefore recommended that shorts should only be worn at the beach. When travelling, women should also choose conventional, modest attire. This is particularly important when visiting religious sites. It should also be noted that Cubans frown upon public displays of affection. Tipping (usually 10% of your bill) is considered to be good etiquette in Cuba, particularly in restaurants and hotels. Travelers can also opt to give gifts instead of a tip. When visiting a local house, bringing gifts for children or for the home is appreciated. Most restaurants in Cuba are government-owned and run. However, there are several Paladares (locally owned and run private restaurants) that are known to serve better quality food. Cuban cuisine is delicious and mainly includes fried or roast chicken or pork, beans, root vegetables and rice. Other popular dishes include “ajjiacco” (a rich stew with meat, green vegetables and meat), “ropa vieja” (literally translated as “old Clothes”, a popular stew of slow-cooked shredded beef with garlic, onions, tomatoes and peppers) and another famous delacasy, “lechon” (suckling pig marinated in herbs, garlic and onion). Black beans and rice are always served with a meal in Cuba. A lot of restaurants also serve fish, lobster and shrimp which are usually very fresh and well prepared. Cuba is known for its high quality rum. “Mojitos” and “Cuba Libre” are the national cocktails and can be found throughout the country. Cerveza (lager) is also available at most resorts and bars throughout Cuba. Other than the Cuban Peso, CUC (Cuban Convertible Peso) is also accepted in the country. CUC is used by most foreign visitors while they are in the country. However, it cannot be obtained outside of the country. Most restaurants and shops still accept only cash so it is advisable that you always carry some. Train stations, buses and shops may not carry enough change so it is best to have some lower denominations handy. For purchases, debit cards and credit cards are accepted. Most high end restaurants, resorts and hotels will accept cards. However, it should be noted it is best to use only MasterCard or Visa, since most other types of credit cards are not accepted in Cuba. 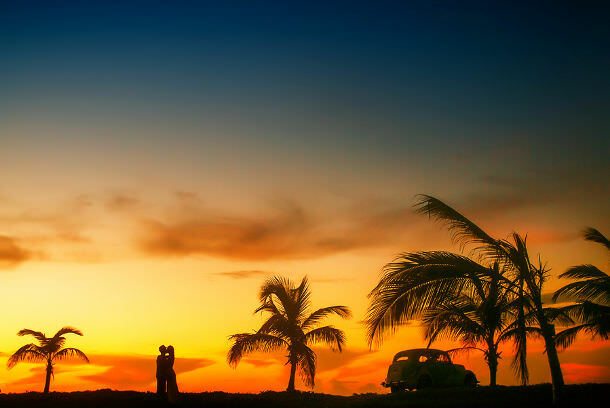 Cuba offers a number of cost effective options to couples looking to get married there. 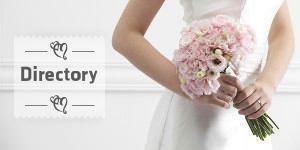 There are several excellent resorts that offer all-inclusive wedding packages at very affordable rates. Depending on the package chosen, it may include services such as the wedding ceremony, bridal bouquet, boutonniere, wedding cake, decor and drinks. Optional services such as photographer and private reception are generally available at an extra cost. Overall, Cuba is a very affordable as well as a memorable destination for couples as well as their wedding guests. To marry in Cuba you must both be at least 18 years old and not be related by blood, marriage or adoption. You will be required to be in the country for at least three days prior to your wedding. An affidavit of your single status if you've never married before. If you’re divorced, a certified or original divorce certificate. If you're widowed, a certificate of your spouse's death and your marriage certificate. All of the documents above must be translated translated into Spanish, certified by a notary public and legalized by the Cuban consul in your country. Additionally, you will need to submit a sheet with your names, occupations, education, home address and names of parents in Spanish and English. Your documents should be sent to your hotel three weeks before you arrive in Cuba. It's important to ensure that your passport is accurate and the name on it matches all other documents as your marriage will be formalized in this name. The following notes are not comprehensive and are intended as a guide only. Before planning your wedding in Cuba we strongly advise you to contact the Cuban embassy in your home country or your country's embassy in Cuba to obtain up-to-date legal requirements. Learn more about the Provinces of Cuba or browse through our Cuban Wedding Directory to start planning your dream wedding.